Raanes Capital Advisors, LLC is a locally owned investment services practice. Investment products and services are offered through Raymond James Financial Services. 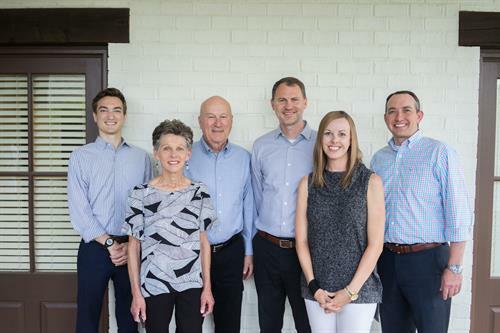 Duane and Brady Raanes are CERTIFIED FINANCIAL PLANNER™ professionals providing investment advisory and portfolio management services in the areas of retirement planning, retirement planning education and income strategies for the retired. Brady also has the prestigious Chartered Financial Analyst designation. We specialize in the accumulation, distribution and preservation of your wealth. Investment advisory services are offered through Raymond James Financial Service Advisors, Inc. Raanes Capital Advisors is not a registered broker dealer and is independent of Raymond James Financial Services. From Hattiesburg: West on Hardy Street to Mayfair Road. (McDonalds is on the left) Left on Mayfair Road,right on Millbranch Rd. (McAlisters is on the right). Take 1st left --3rd building on left.